CLEVELAND (March 6, 2015) — Sherwin-Williams introduces SuperDeck, the most comprehensive deck care finishing system available. The full line, featuring premium Duckback® technology, includes products for staining, sealing, stripping, cleaning and restoring decks. The line is set to launch in the spring of 2015. Innovations found in the new line include revolutionary infrared (IR) reflective technology stains, designed to help keep surfaces cool even when temperatures are hot. 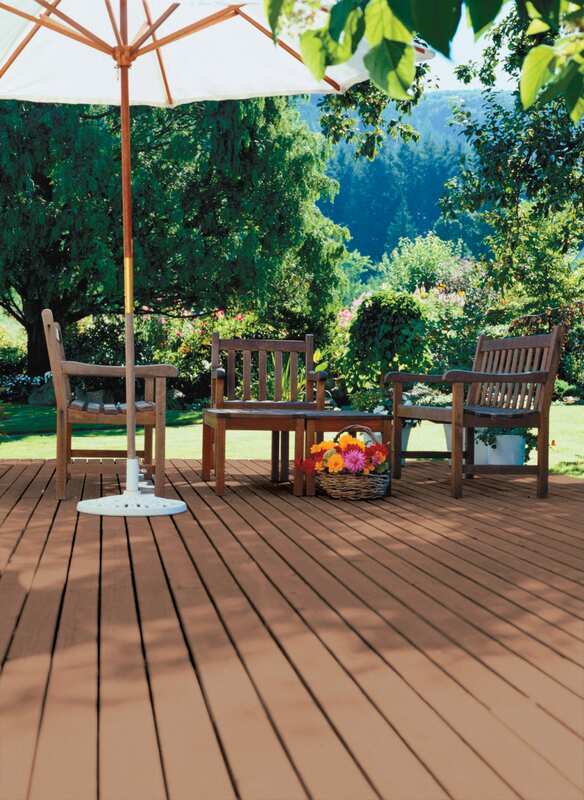 The SuperDeck care system offers a clear sealer and semi-transparent, semi-solid and solid color stains – all in a waterborne formula, plus oil-based transparent and semi-transparent formulations. Additionally, SuperDeck Deck & Dock Elastomeric Coating is ideal for smoothing and filling rough or damaged surfaces. Also available are Log Home Oil & Waterborne Finishes, Exotic Hardwood Stain and Pressure Treated Wood Stain. SuperDeck can be applied on a variety of deck substrates including new, uncoated, pressure-treated, weathered lumber, cedar and redwood. It’s also available in a wide range of colors that complement Sherwin Williams popular WoodScapes® stains for vertical wood surfaces – allowing for a fully coordinated look. IR reflective technology contains pigments that reflect ultraviolet rays back into the atmosphere. As a result, the exterior surface temperature of wood decks stay cooler on the foot compared to conventional dark stain colors that are difficult to walk on in warm, sunny days. This technology is available in three colors in both the Waterborne Semi-Solid Color and Solid Color stains. A semi-solid stain has a rich pigmented appearance that allows some natural wood grain to show through. The semi-solid makes a stronger color statement than a semi-transparent, without completely concealing the wood grain like a solid color. 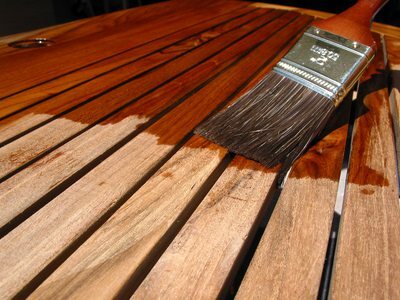 It also repels water on new or weathered wood and can be applied to damp or dry wood. This stain achieves the appearance and weathering performance of a satin varnish with the ease of a stain. This formula offers exceptional water beading properties and UV inhibitors for premium results. Its semi-transparent look is ideal for new wood surfaces. Through its more than 4,000 stores and 2,400 sales representatives, Sherwin-Williams provides fast, flexible, responsive service and personalized, expert advice to meet the coating and color needs of builders, designers, specifiers, property managers and contractors. As North America’s largest single-source supplier of high-quality paints, stains, masonry coatings and brand-name wall and floor coverings.